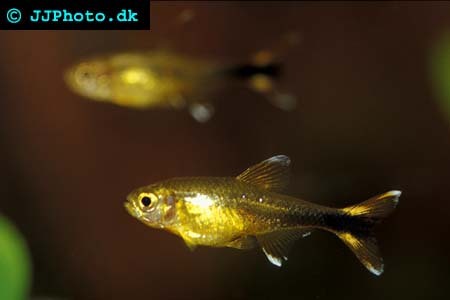 Company: Hasemania nana (Silvertip Tetra) is suitable for community aquariums. 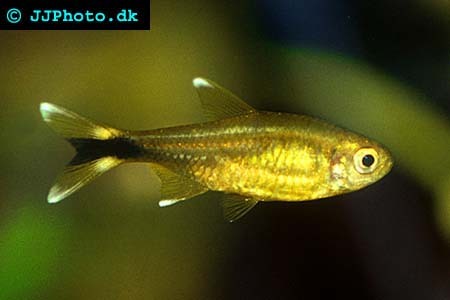 Aquarium setup: Hasemania nana (Silvertip Tetra) should be kept in a densely planted aquarium with open areas and some floating plants. They prefer a well circulated aquarium. This species should as most tetras only be kept in schools of 10 fish or more. Feeding: Hasemania nana (Silvertip Tetra) will accept most foods types including flake food. Breeding: Hasemania nana (Silvertip Tetra) scatters their eggs among dense vegetation. Best breed in pairs. The pair eats their own eggs if they are not removed from the breeding aquarium.